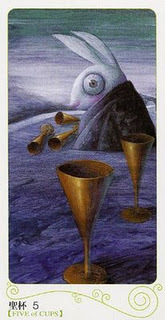 The Five of Cups is about disappointment, loss, what “might have been” and crying over spilled milk. It is the card that sees the world as half empty instead half full. If the stricken looking little bunny would just look behind him, he would see that there are two cups that still remain standing. 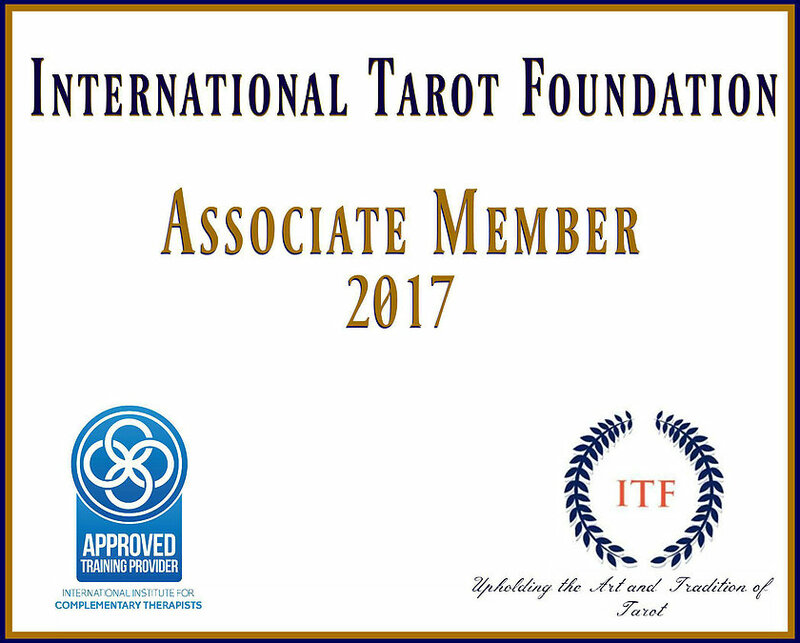 We may feel discouraged upon seeing this card, but it does have a positive side. Every loss opens new possibilities for growth because every loss initiates change and the idea that better might be coming is indicated by the two remaining cups. Loss hurts because it is our emotional resistance to change… and no matter how much we accept intellectually that we must go with the flow, if that flow separates us from what we love… our emotions often object.